There are 9 National Park Service Sites in Alabama. Of these sites, the Natchez Trace Parkway and Natchez Trace National Scenic Trail are shared with Mississippi and Tennessee. This national monument in Alabama was listed into the National Register of Historic Places 2006. However, it was named as a national monument just recently – January 2017. As one of the national park service sites in Alabama, this 18-acre property is governed by the US National Park Service. This national monument is located in Birmingham, with the aim of preserving the Civil Rights Movement and all of the work it has done. Specifically, the monument covers the same site where the Birmingham campaign was held at, as well as other key events in the Civil Rights Movement, including the delivery of Martin Luther King’s Letter from Birmingham Jail. The motel that used to serve as the headquarters for the movement is the center of this national monument. Located in Aniston, Alabama, this is another national monument governed and administered by the US National Park Service. It was also designated as a National Monument in January 2017. It was President Barack Obama who signed the act of Congress to name the site as a national monument in an effort to commemorate the Freedom Riders as part of the Civil Rights Movement. This is the only military park in this list of national park service sites in Alabama. It was established in 1956 and commemorates the site of the last battle in the Creek War in 1814. It was an important battle because the Tennessee militia led by General Andrew Jackson, with the help of allies from the Lower Creek and 39th US Infantry Regiment, were able to defeat the Upper Creek Red Stick resistance. The battle was held at the exact same spot of the military park near the Tallapoosa River. There were over 800 Upper Creeks who died during the battle, which also marked the highest number of Native American lives lost in a single battle in all of the US history. The entire military park measures over 2,000 acres in land area, which are protected by the National Park Service. Neatly 59,000 tourists visit this park each year. This unit of the national park service sites in Alabama is located atop the Lookout Mountain near Fort Payne in Alabama. It was officially established as a national preserve in 1992 and is currently governed by the National Park Service. This 15,288-acre property protects the Little River, which is believed to be the longest mountaintop driver in the US. Before it was established as a national preserve, it was part of the DeSoto State Park in Alabama. The Little River is also an important ecological feature that scientists believed to be crucial in forming the deepest canyons in the Southeast. In addition, this river is also believed to be among the wildest and cleanest waterways in the South. The Natchez Trace Parkway is a national parkway that follows the historic Old Natchez Trace. This unit of the national park service sites in Alabama preserves sections of this old historic trail. The two-lane parkway is the main feature of this site that stretches from Natchez, Mississippi and passes through Alabama before ending in Nashville, Tennessee. Although access to the parkway is limited, there are over 50 possible access points from various points in the states of Alabama, Mississippi and Tennessee. 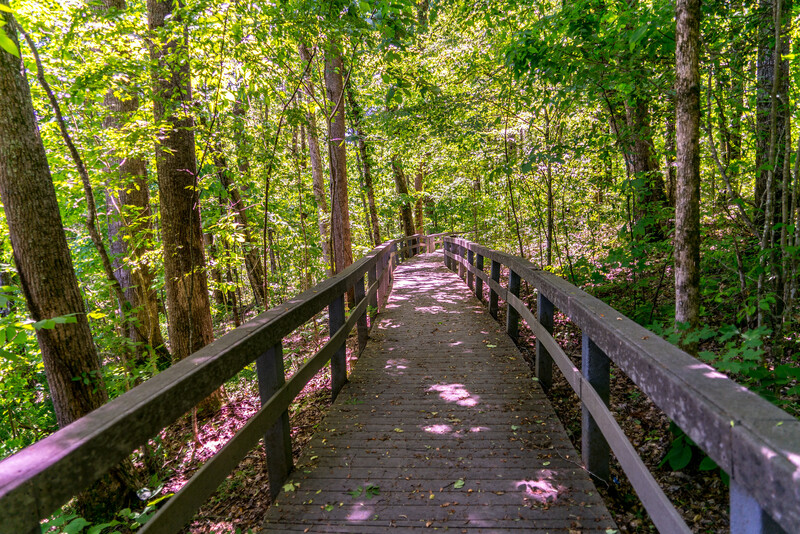 This national scenic trail is directly linked to the historic old Natchez Parkway above. It is a unique trail because instead of following a long and continuous path, it consists of several number of trail segments. According to historians, the trail were the same ones that were used by Native Americans, explorers, military men, “Kaintuck” boat men, and post riders. Hence, it played an important role in shaping the history of the area and its surrounding landscape. This national monument is located in Northeast Alabama and was established in 1961. The entire land covered within this national monument measures at 310 acres. It was donated by the National Geographic Society to the American people. It was also listed under the National Register of Historic Places in 1966. This unit of the national park service sites in Alabama is centered on Russell Cave, which is the third longest mapped cave in Alabama with a length of 7.2 miles. This cave ranks 90th in the US in terms of longest cave systems. The cave has a distinctive large entrance which archaeologists believe to be used by the prehistoric Indians as a shelter. Meanwhile, the surrounding forest near the cave provided sources of food, wood and tools. This national historic site is located in Moton Field and preserves the contributions made by the African American men who served during World War II. Moton Field was an important primary flight training for the pilots that were collectively known as Tuskegee Airmen. Moton Field was constructed in 1941 as a new training base and was named after Robert Russa Moton, who was the principal of the Tuskegee Institute that died a year before the base was established. Before 1940, there were no African American airmen that ever existed since they were barred from flying by the US Military. But due to the civil rights organization and movement, an African American pursuit squadron was formed in Tuskegee, Alabama. The Tuskegee University is the main feature of this unit of the national park service sites in Alabama. It was an important source of academic programs in Alabama and played a crucial role in providing higher education for the African Americans. Hence, it was named a national historic landmark in 1965. The national historic site is not limited to the Tuskegee University Campus, however. Among the other sites encompassed by this designation were George Washington Carver Museum, The Oaks, and T. Booker Washington’s home. These sites were considered as having specific historic interest.